After Wowing Pharrell, Maggie Rogers Delivers Her Pop Thesis In 2016, a video of Pharrell Williams being floored by one of Rogers' demos went viral. She tells Lulu Garcia-Navarro how she arrived at a sound that marries acoustic folk to electronic production. 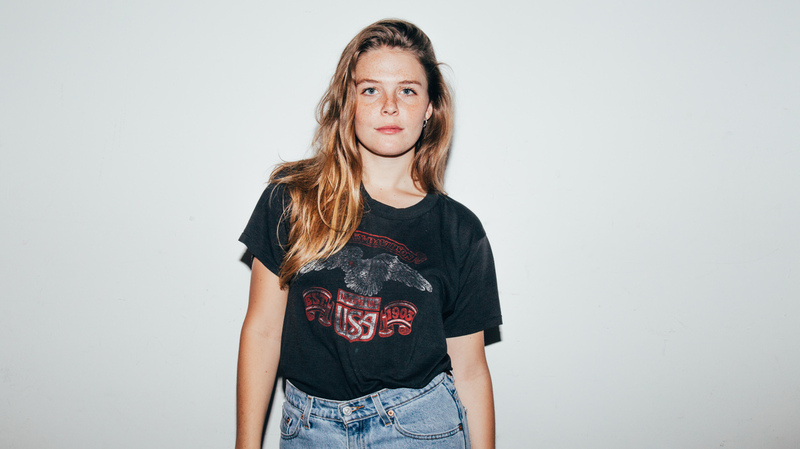 Maggie Rogers' new EP, featuring the finished version of her song "Alaska," is called Now That the Light Is Fading. Maggie Rogers has been making and releasing albums since she was in high school — but last year, her profile got an unexpected boost when a video of her meeting Pharrell Williams went viral. Rogers was attending NYU's Tisch School of the Arts, and Williams was there to critique the students' work. The video, which has been viewed more than 2 million times, shows the superproducer looking thoroughly surprised and impressed as he listens to a demo of one of Rogers' songs, "Alaska." "I have zero, zero, zero notes for that," he says when the track is finished. "I've never heard anyone like you before." "What's so incredible about that video," Rogers says of that day, "is that I was able to speak before my music was played — I was able to talk about my music. It's really strange when a moment that is so intimate about my life and my career is shared so widely with the Internet. I mean, I really was just kind of showing up for school that day." This week, Rogers releases an EP called Now That the Light Is Fading, featuring the finished version of "Alaska." She says she approached the project as "a thesis in pop music." "My goal really was to make pop music feel as human as possible," she says. "You can hear it specifically in the percussion: It's made up of snaps and claps, but the main rhythmic loop is just me patting on my jeans. And in the prechorus, instead of a synth, there's a mourning dove. There's voices in the beginning that I've sort of pitched down so that you can hear people talking in the background." Maggie Rogers spoke with NPR's Lulu Garcia-Navarro about arriving at her unique sound, in which a background in acoustic folk collides with a more recent fascination with dance music. Hear more of their conversation at the audio link.